Richard Larsen was a member of the faculty of the Department of Mathematics from 1970 to 2005. He also served as an Associate Dean in the College of Arts and Science from 2002 to 2005.. Over the years, he held the post of faculty adviser to six different student organizations, and he served on the Athletic Committee, the Administering Committee for the VU Medical School Early Admissions Program, the Advisory Committee to the Center for Teaching, and many more. He was also actively involved in molding the curriculum standards for the College, from the earliest days of the CPLE to the latest revisions leading to the new AXLE program. Richard’s primary focus in the Department of Mathematics was undergraduate education and administration. He served as the Director of Undergraduate Studies for seventeen years, from 1985 to 2002. During that time, he worked with a number of different chairs to make undergraduate teaching a real strength of the department. His dedication to his students reached well beyond the classroom. In recognition of his exceptional rapport with students both in and out of the classroom, Professor Larsen received the Ingalls Award for Excellence in Classroom Teaching in 1976, the ODK Alumni Award for Contributions in Improving Student-Faculty Relations in 1978, the Chancellor’s Cup in 1984, and the Ernest A. Jones Advisor Award in 1986. 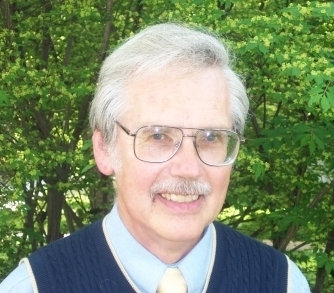 When Professor Larsen retired in the spring of 2005, the Department established the Richard J. Larsen Award for Achievement in Undergraduate Mathematics in his honor. The award, along with a check for $500, is presented each spring to the senior math major judged by the faculty to have excelled in all aspects of undergraduate mathematics.